Does More Recess Equal Greater Success? As soon as the recess bell rings, students run outside and disperse onto the blacktop. Children are so excited to go outside and play. From basketball, to handball, to tetherball, the list goes on as their imaginations run wild. 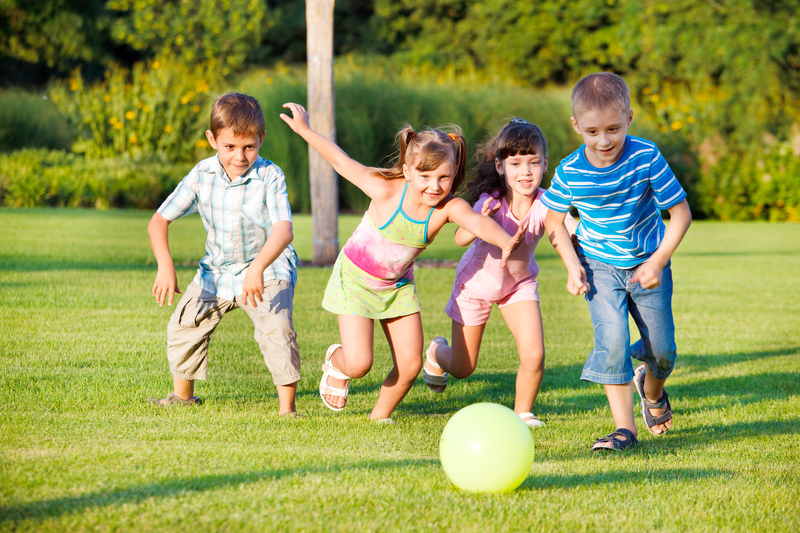 This is their 15 minutes of free play – their chance to move their bodies, have fun, and play with their friends. Typically, schools allow 15 minutes for recess and 30-45 minutes for lunch…and that’s it. But is this enough for children? According to Today, a school in Texas tripled their recess time and noticed immediate positive results. The school decided to implement two-15 minute breaks in the morning and two-15 minute breaks in the afternoon. Teachers were definitely apprehensive about this major change, and many thought this would take away from academic time. However, a few months after implementing the change, teachers and parents noticed a positive difference in student behavior and academic performance. “You start putting 15 minutes of what I call reboot into these kids every so often and… it gives the platform for them to be able to function at their best level,” said Debbie Rhea, a kinesiology professor at Texas Christian University, who created the project. Finland has the reputation of having the best scores in the world for reading, math, and science. Students receive 15 minutes of “unstructured outdoor play” every hour. Recess allows children to get out of the four walls of a classroom, breathe some fresh air, and most importantly – play! Students are reenergized for the upcoming academic lessons and come back inside ready to learn. Play is essential for students to grow cognitively, socially, and physically. The social skills they develop on the playground help them learn to collaborate with others, negotiate, share, and problem-solve. While playing, students have to make decisions and discuss those decisions with their peers. Some teachers use recess as “free time” that may be taken away in order to punish students if they misbehave or have an assignment to complete. Every time I hear this, it irks me. Don’t they realize that taking away recess will accomplish the opposite of what they are trying to do? If teachers want students to improve their behavior and complete their work, students need frequent breaks that provide the opportunity to go outside, run around, and unwind from the demands of the classroom. If they are required to miss their recess and stay in the classroom and work, they are pretty much locked up in the classroom the entire day, with the exception of lunchtime. Please share your thoughts… How does recess look at your school? Do you feel your students need more time to play?